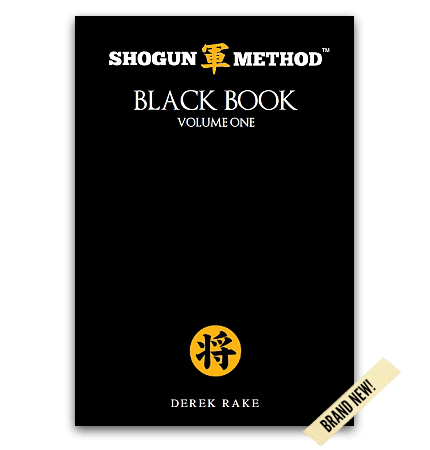 Brand New Shogun Method® Breakthroughs Now Available! 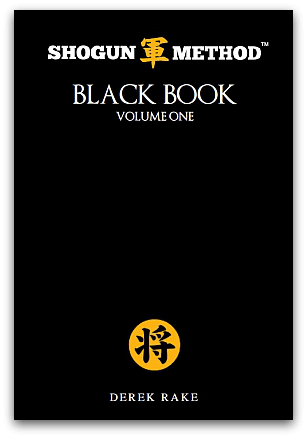 Shogun Method Black Book Volume 1 contains NEW breakthroughs on Implanted Commands, the IRAE Model and the Black Rose Sequence that will kick your Enslavement skills into overdrive. Module 1: Advanced Implanted Commands™. Add these two components to your standard Implanted Commands™ and increase their effectiveness by 3X. Module 2: I-R Bridge. Escalate from Intrigue to Rapport stage easily using this one simple hack - a "bridge" between Intrigue Pings and natural conversation. Module 3: "One Step Ahead". Learn how to give a woman the "Illusion Of Choice" - so that no matter what she chooses to do, you win. Module 4: Multiple-Outs. A simple tweak to standard Implanted Commands which ALWAYS elicit a positive response. Module 5: Black Rose Sequence "Boosters". Two new "Booster" tactics that will make your Black Rose Sequence delivery smooth and tremendously effective! Why a failed delivery of the Black Rose Sequence will be completely detrimental to you (and your target) - very important!